Just line up the drums in different tracks, and you'll hear a perfect beatmatch. Get Inspired. Make Your Own Music. 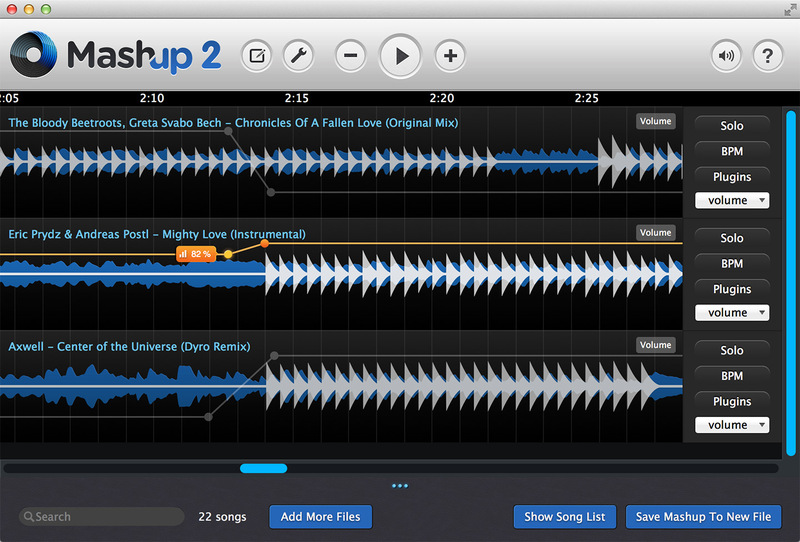 Producing mashups doesn’t require expensive tools. You just need inspiration and this software. 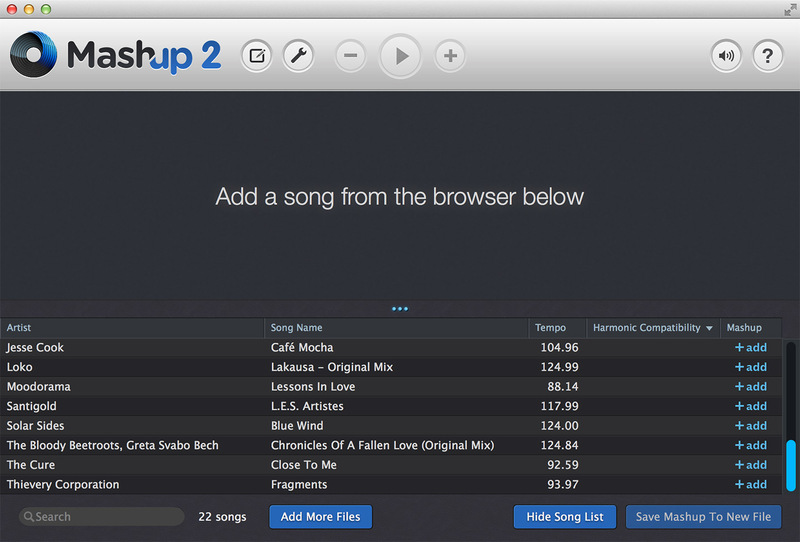 Start creating music today with Mashup 2.